Praise for work done well. Being included by interesting people. It feels good, right, deserved. What could be wrong with that? Yet when we have to admit to mistakes or accept rejection, it all becomes very difficult. We feel deep hurt, and we stay angry; the root of all this: pride. In his gentle but direct manner, RT Kendall explains that a level of dignity and self-respect is good. To look presentable and to do things well gives glory to God. But somehow, finding the right balance between this and pride eludes us; which we will never admit, because of our pride. Yet Jesus was completely humble and gave us the perfect example of a powerful life lived without conceit, smugness or arrogance. Only as we keep our eyes on him can we find that elusive balance. "Outside of the Bible, this book has had more influence on me than any other book that I can remember." - Larry Kirk. "Profoundly stimulating, challenging and provocative. Stamped throughout with the heartfelt honesty, spiritual insight and biblical knowledge that have long been the valued trademarks of RT Kendall." - From the Foreword by Rev Canon J.John. R.T. Kendall was minister of Westminster Chapel in London for 25 years and remains a popular national and international speaker and writer. He is the author of numerous bestselling books including Total Forgiveness, The Anointing, and Ambition, Glory and Giving Your All. The The Power of Humility by RT Kendall was published by Muddy Pearl in November 2013 and is our 17270th best seller. 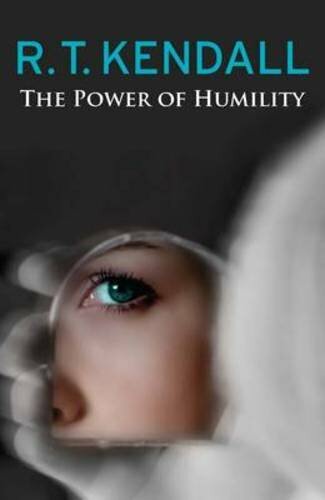 The ISBN for The The Power of Humility is 9781910012024. Be the first to review The The Power of Humility! Got a question? No problem! Just click here to ask us about The The Power of Humility.